It's the greatest heroes on the left coast! Hawkeye! Mockingbird! Tigra! The Thing! Wonder Man! Iron Man! Hank Pym! Firebird! See these unlikely allies take on the quirky and deadly threats of Graviton, Headlok, the Griffin, Razorfist, Zzzax, Master Pandemonium, Whirlwind and mor... read full description below. It's the greatest heroes on the left coast! 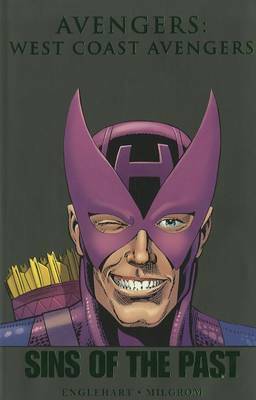 Hawkeye! Mockingbird! Tigra! The Thing! Wonder Man! Iron Man! Hank Pym! Firebird! See these unlikely allies take on the quirky and deadly threats of Graviton, Headlok, the Griffin, Razorfist, Zzzax, Master Pandemonium, Whirlwind and more! Guest-starring Nick Fury and the Cat People!